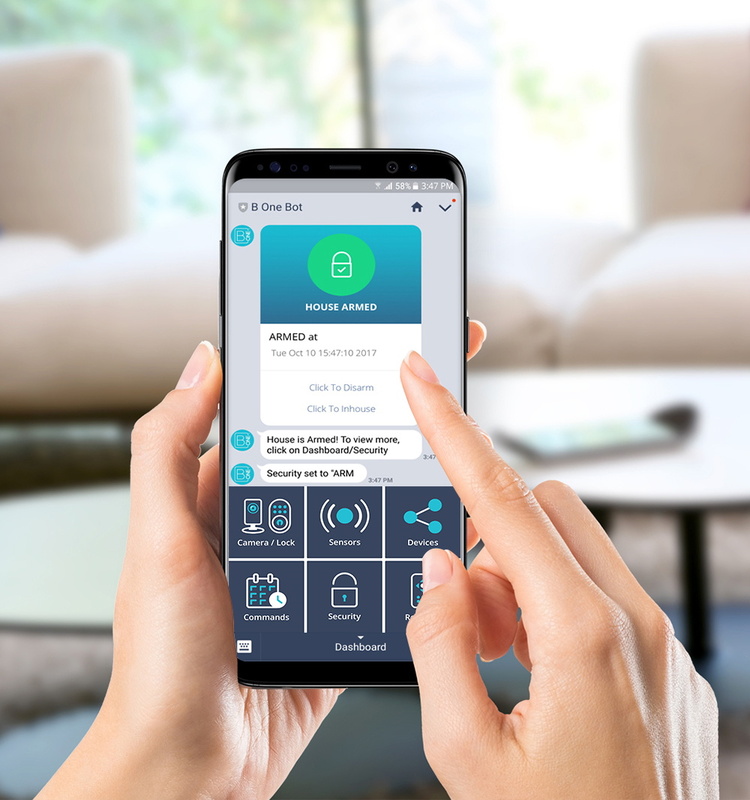 With the power of ChatBots, you will be able to chat with your home through Messenger apps and issue specific commands that fulfill specific actions on your behalf, such as turning on the lights, opening the front door and much more. Using a ChatBot is easy with a range of intuitive options to choose from. For example, while chatting with the ChatBot you can type a command like 'devices' to see a list of all devices connected to your B.One Hub. You can then proceed to take other actions such as clicking at specific points on the screen to turn them ON/OFF - it's that simple. B.One ChatBots for Facebook Messenger and Line Messenger are now available. For more information, please visit our Support page.